With a contribution of $365, you can create a personal message that will be aired 8 times on a day of your choice.  Day sponsorships are a great way to celebrate a birthday or anniversary, honor a friend or local community member, or donate your message for use by your favorite nonprofit - all while supporting KNAU and the outstanding public radio programming you enjoy! Your announcement can be 40-45 words in length, (about 20 seconds long), and will be read by a KNAU host eight times, every other hour, beginning at 6:30 am a day of your choosing. Your contribution is tax deductible to the fullest extent of the law. Day sponsorships have become very popular and our calendar fills up fast. Make your gift and reserve your date as far in advance as possible, or four weeks minimum, for best availability. For more information email KNAU or make your online contribution today! "Today's KNAU day sponsor is Flagstaff Community Supported Agriculture. Their mission is to connect the community to their food, the land and local farmers. Shares are still available for the spring season beginning April 9th. Information at flagcsa.com." "Today's KNAU day sponsor is Keep Sedona Beautiful, honoring its Litter Lifters dedication to provide a litter-free greater Sedona for both residents and visitors to enjoy." "Today's KNAU day sponsors are Pat and Jerry Ellsworth, celebrating 37 years on their journey together, through both joyful and challenging times." "Today's KNAU day sponsor is Chris Twidwell. Wishing listeners a Happy Spring and thanking KNAU for picking up local news and weather when KNAZ TV went off the air." Messages of any sort relating to politics, voting, ballot issues, for-profit businesses, etc.